« Video Power Chargers-Watch and charge! Today’s trend in apparel, shirts in particular are sleeves that can be worn long or fashionably rolled up. These shirts do exactly that being comfortable and trendy. Great for these transition weather months when you do not know whether to wear long or short sleeves. Available in various colors, styles and they come with companion pieces. Description: Handy pockets and helpful performance features combine with simple styling and clean lines to deliver a hard-working fishing shirt fit for the boats or the bars. Lightweight, durable, 100% nylon dries fast. Omni-Shade UPF 30 sun protection. Mesh-lined cape vents at back shoulder. Button-down collar. PFG convertible sleeve tabs. Two big chest pockets. Columbia logo on left chest. PFG logo on vented back. S-3XL. Gulf Stream, Sail, White, Fossil, Vivid Blue, Sunlit, Sunset Red. 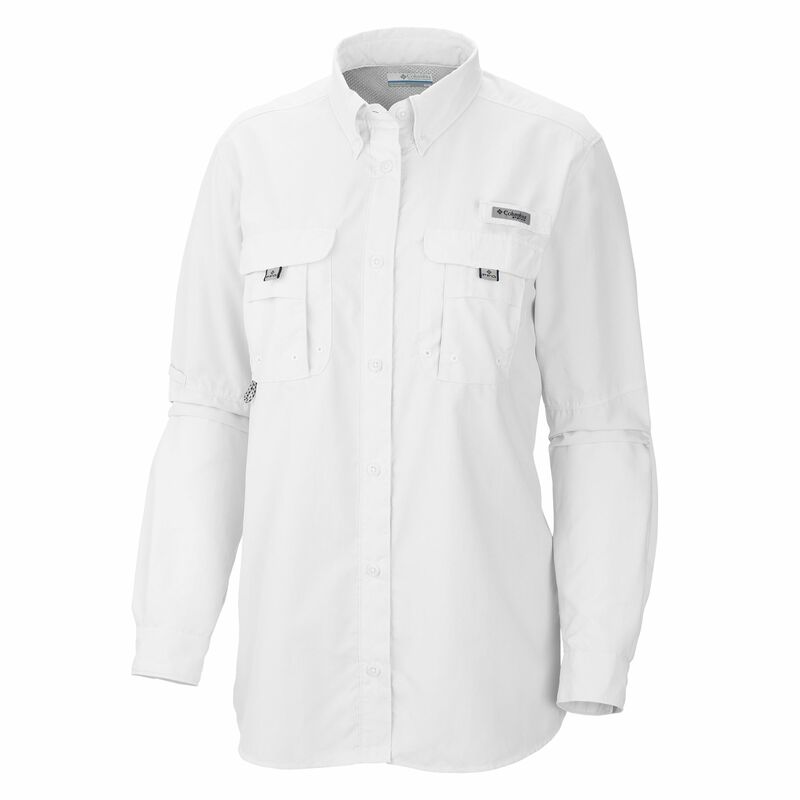 Handy pockets and helpful performance features combine with simple styling and clean lines to deliver a hard-working fishing shirt fit for the boats or the bars. 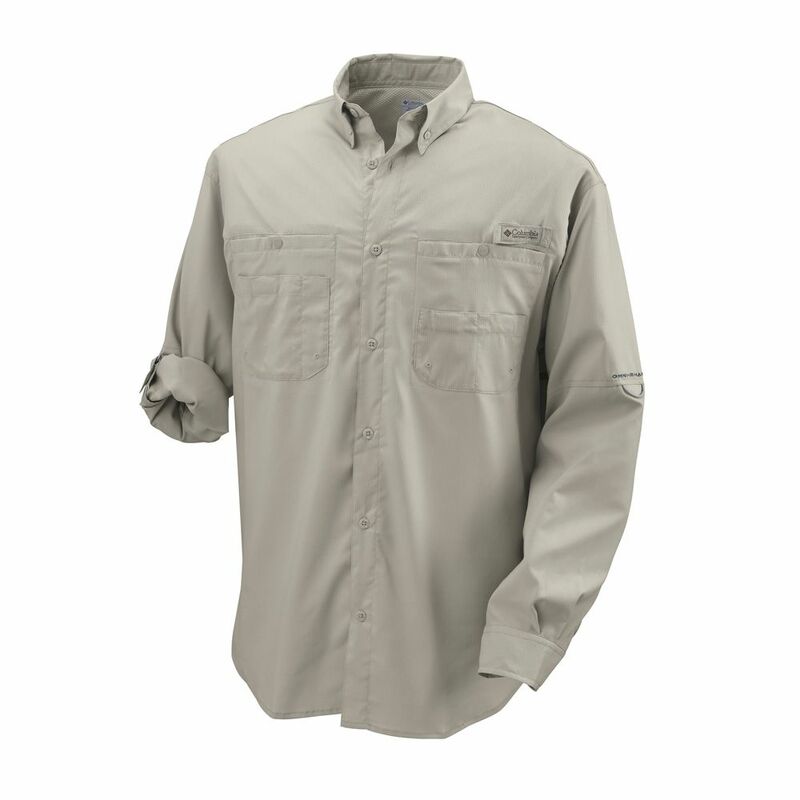 Key Features: 100% Tactel® nylon taffeta Back Country Cloth, 3 oz., quick-dry, Omni-Shade™ UPF 30 sun protection, button-down collar, roll-up sleeves with tab holders, vented. 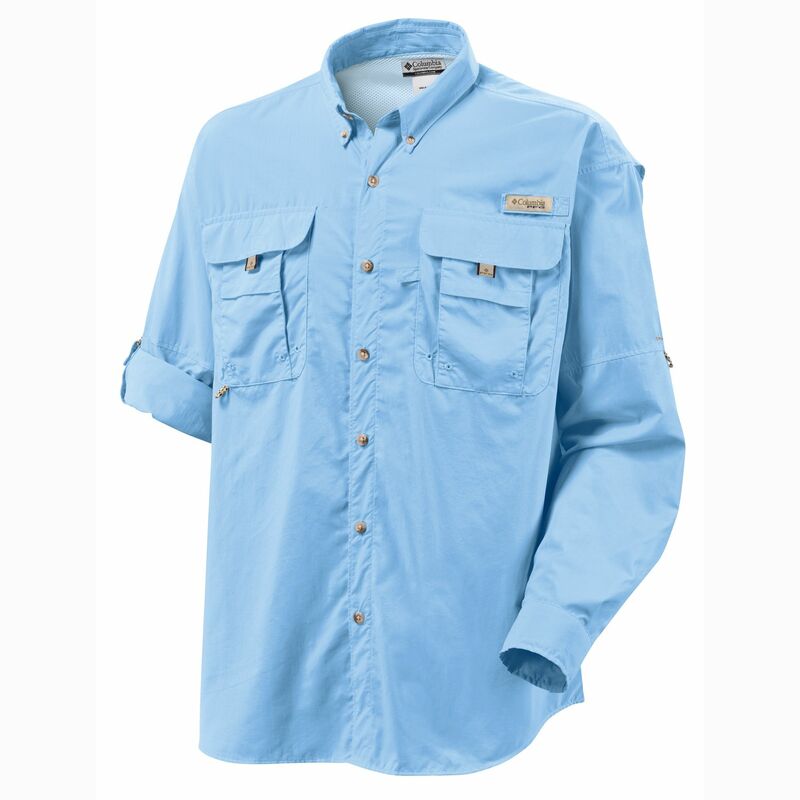 Description: Ideal for longer trips or good old-fashioned socializing, our lightest-weight fishing shirt features antimicrobial properties to keep it fresh and odor-free over multiple wearings. 100% polyester with Omni-Dry advanced evaporation for cool comfort. Omni-Shade UPF 40 sun protection. Anti-microbial and moisture-wicking fabric has mechanical stretch for enhanced range of motion. Button-down collar, deep front pockets and rod holder for hands-free convenience. Relaxed fit with Columbia logo on left chest. S-3XL. Fossil, White, Sail, Black, Key West, Bright Peach.